Ricky Nelson Vinyl Record Memories. I consider the Ricky Nelson Songs to be some of the best rock & roll recordings of his era. Ricky became popular as he grew up on his parents show, "The Adventures of Ozzie and Harriet". I remember watching those shows. How cool it was to watch the early years of Rock & Roll coming right into your living room every week. Ricky actually did not have any singing ambitions until he recorded his first single to impress a girlfriend. 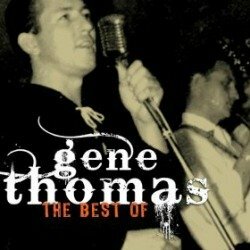 His dad arranged a one year recording contract to make a record. The single was a cover of Fats Domino's "I'm Walkin'" and shot up to number four on Billboard's Best Sellers chart. The flip side, "A Teenager's Romance" actually hit number two. 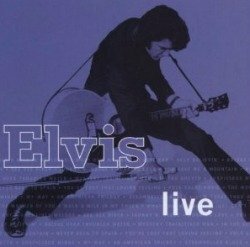 Ricky Nelson preferred the rockabilly sound of Carl Perkins and Elvis Presley and during his early years would offer his own style of rockabilly music. 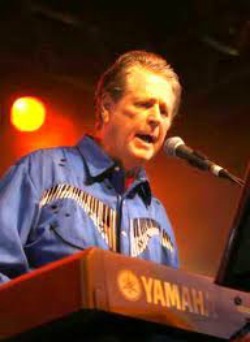 Nelson recruited one the the greatest early rock guitarists, James Burton to play in his band. After James played his initial lead on "Believe what you say" he played lead on every one of Nelson's songs between 1958 and 1967. 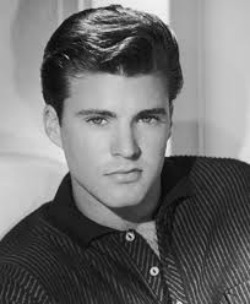 My favorite Ricky Nelson song was "Poor Little Fool" which was Ricky's first #1 hit in 1958. Read about Ricky's dislike for this song and why the songwriter claimed he ruined her song. Read the story here. Ricky Nelson Songs | The First Music Video. Whenever Ricky sang on the show, Ozzie noticed that Ricky's record sales soared the next day. That's when Ozzie tried to work the Ricky Nelson songs into the show at the end. As Ricky grew more popular Ozzie realized that it was going to be nearly impossible to work Ricky's songs into every show plot, so Ozzie filmed Ricky singing "Travelin' Man." He then superimposed some travel scenes over the file and tacked it onto a show episode at the end. And as the story goes, the first music video was born. Learn how the manager of one artist disliked the song and gave it to Ricky's band member. Read about it here. 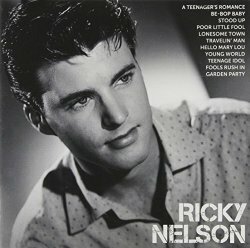 Ricky Nelson Songs - The Album Content. Content on the back of Albums or the inside of double albums is really what I like best about the vinyl record albums. 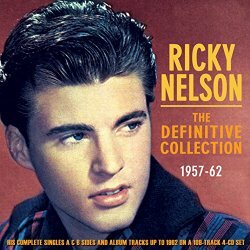 The Ricky Nelson Album that I have with great content is a double album called simply "Ricky Nelson." 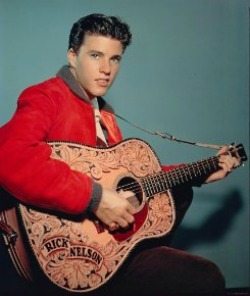 Ricky Nelson was born Eric Hilliard Nelson in 1940. He died in a small plane crash in Dekalb, Texas on December 31st, 1985 while flying to a New Year's Eve concert. Ricky Nelson and Elvis remain my two favorite singers and 2019 will mark the 34th anniversary of his passing with that tragic New Year's Eve plane crash. Favorite Ricky Nelson music videos - Please return often for video and content updates. "I Will Follow You" - One of my favorite Ricky Nelson cover songs. Teenage Idol - Was this song written about Ricky? Travelin' Man - Was this the first music video?